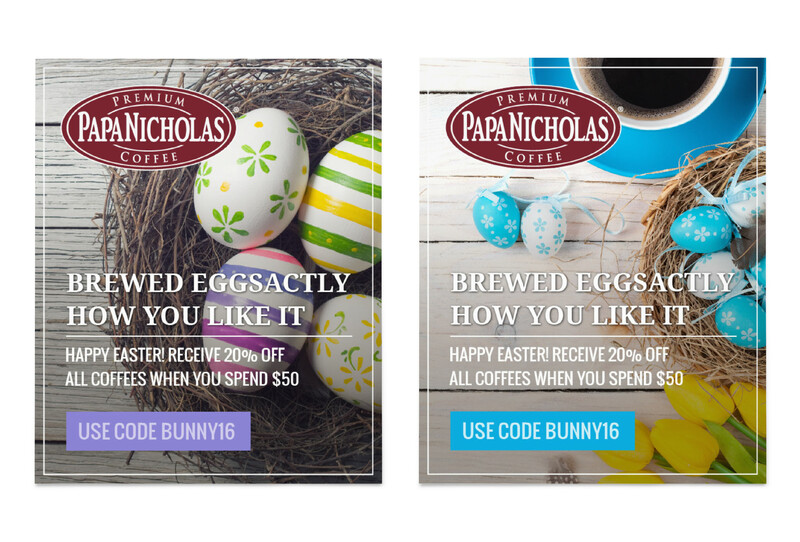 These are examples of social media ads designed for a PapaNicholas coffee sale, in this case an Easter sale. While at Frey Design I helped create and manage the various sales that took place. 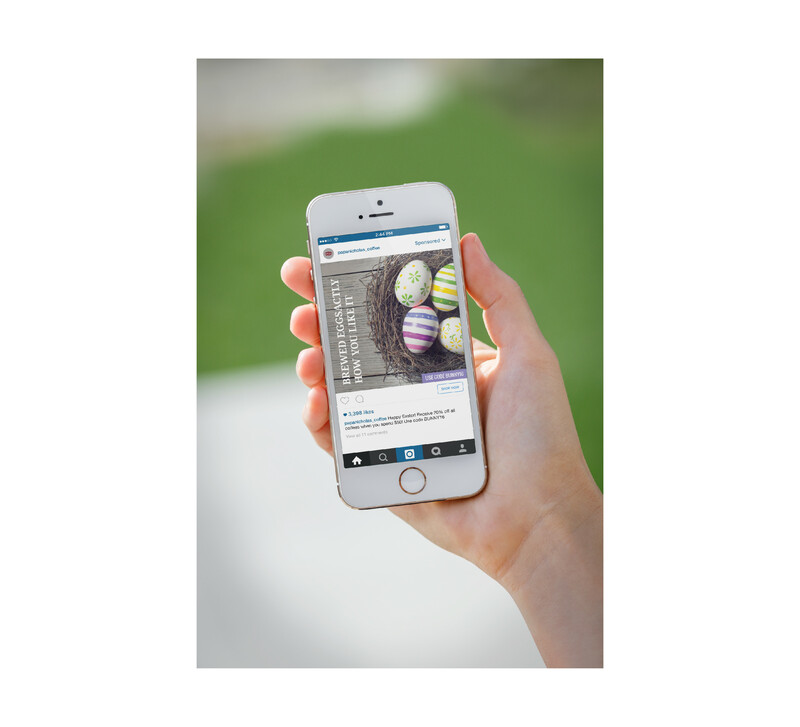 Each sale features two thoughtfully picked stock photos that pertain to the sales theme. These two photos would then be used to create email blasts, Instagram posts, and Facebook ads. After the tagline and sales offers are determined, a color from the photo is then used to highlight the coupon code if applicable. The photos are then strategically cropped for each social platform. 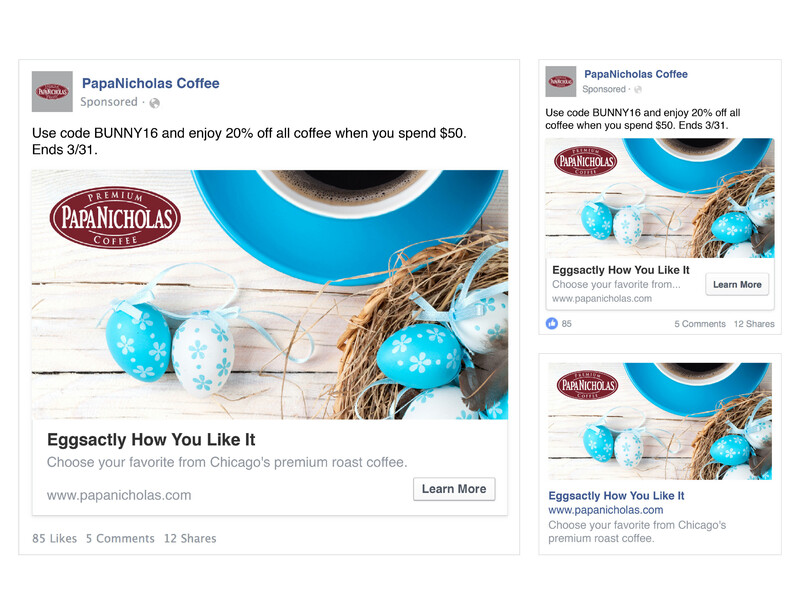 This system allowed our team to efficiently make multiple sale ads that are clean and consistent to one another.